Dippy put his scarves back in the closest for now as he soaks in this spring weather! 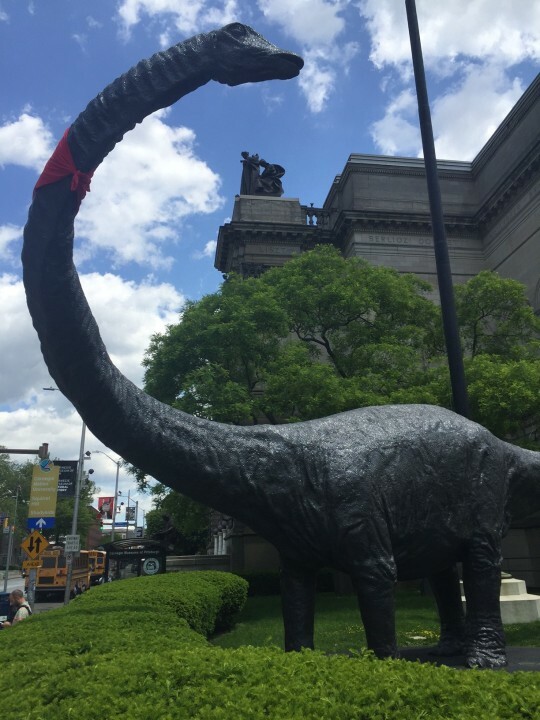 He’s sporting a red bandanna for a new exhibition by Alison Knowles opening at Carnegie Museum of Art on May 20. Tonight, from 6 to 8 p.m., visitors are invited to bring red objects into the museum that will be incorporated into a piece of art. Read more about Knowles and her new exhibition here.